Boston Data Protection and Recovery for Cloud Data Storage – Synivate, Inc. It should be common knowledge today that more than 50 percent of businesses that lose their data will be shuttered within six months or less. Loss of mission-critical data can be a death knell if you don’t have a disaster recovery service in place. Your plan for Greater Boston data protection should help you to meet the recovery time objective (RTO) and recovery point objective (RPO), as outlined in your company’s business continuity plan. Unfortunately, misconceptions about cloud-based disaster recovery and software-defined storage have led many IT professionals to overlook the importance of safely backing up essential company data even when that data is already stored in the cloud. The truth is that many businesses assume that the services they will receive from the average cloud service provider will protect them from potential data loss due to just about any type of situation. However, when it comes to data loss caused by user error, malicious destruction of data, or other human-based incidents, unless a third-party or alternative backup solution is in place, that essential data could be lost forever. 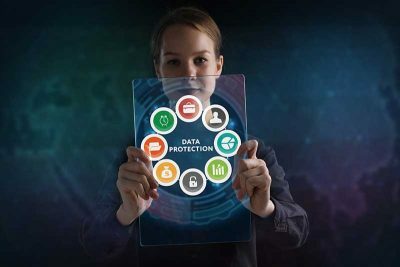 While there are several backup solutions integrated into Office 365 and other popular software programs, they are not entirely effective on their own for protecting businesses from issues caused by staff. Relying on email recovery with Recycle Bin, as well as backup services like SharePoint and OneDrive, can also result in disappointment. There are limits to the number of days that deleted data can be recovered and, in the case of SharePoint and OneDrive, single items and files cannot be retrieved without restoring an entire instance. Is your mission-critical data protected? Do you have a disaster recovery service in place that will help you get back on track and retrieve essential data after any type of loss? Synivate specializes in this type of innovative technology solution and can help our clients to protect their businesses following any kind of breach or disaster situation. When you hire Synivate to provide your business with a comprehensive disaster recovery service and backup strategy, you don’t just get standard IT management services, but an entire team of technicians whose focus is to develop a plan for recovery that checks every box on your list. Software-defined storage and cloud-based disaster recovery are just the beginning; we work with you every step of the way to ensure that every crucial area of your system is properly addressed and protected. Our plan will take into consideration every aspect of your network, including essential data, computer systems, processes, and any regulations, constraints, or obligations required by the industry that you serve. We also help you in other ways, including providing testing for your established IT disaster recovery plan on a regular basis. Over the years we have determined that it is important to make sure that your Boston data protection plan works as it was designed to, protecting you from any eventuality that might threaten your business. Our team has the knowledge, training, and experience necessary to offer an evaluation of each component within the established plan to reduce downtime and ensure redundant and reliable protection. All of the services provided by Synivate are designed to help you be prepared for data loss or disaster situations so you can get back to business right away without missing a beat. Synivate works with the latest technologies and state-of-the-art techniques to provide our customers with cloud computing security solutions that are designed to safeguard company data and offer better control over IT operations. Software-defined storage can be enhanced through the power of a multi-layered security program. Depending on the industry that you work in and the type of data files that you require to provide services to your customers, including financial, human resources, and other secure information, you may require even more security and Boston data protection. Cisco Meraki cloud-powered solutions are just one of the ways that we provide our customers with unprecedented security. All traffic within this solution is filtered through a secure cloud that is maintained by Cisco and is monitored by our network operations center. Firewalls with advanced security offer granular content filtering, designed to prevent unwanted browsing and block known sources of malware and malicious websites. Meraki products have a resilient design and come with a lifetime warranty, offering a way to offer a highly available configuration with a redundant unit. In our experience, we have found that the Meraki product line is far superior to any traditional network component. Call Synivate today at 617-517-0704 to learn more about how we can work with you to integrate and support IT solutions designed to address the complex needs of your business in a convenient, all-in-one-service. Whether your focus is on cloud-based disaster recovery software-defined storage solutions or you want to evaluate your existing disaster recovery service plan, our team can help you get the answers you want and the solutions you need to continue moving your business into the future.